I should have guessed my son Nathan was going to be a writer when he’d sit with his plastic dinosaurs for two hours, just making up stories in his head. He was The. Easiest. Kid. Ever. Now I know it was because God gave him a great imagination. Thanks God! A few years ago Nathan started writing a novel. I told him to finish it, and I’d help edit it. He did, and I did. And it was really good! Then I suggested that he hire an outside editor to go over it. I work with editors all the time, and I know the value. So we did that too. The editor we hired was impressed with Nathan’s novel, and Nathan finished the edits last month. We were in the middle of weighing the options of going through a publisher or self-publishing when Nathan told me he needed time to think. He ran an errand and came back and said, “I think I’m just going to self-publish it.” No joke, the next DAY it was up for sale on Amazon. And people started buying it. And then it got some 5-star reviews! Okay, let me tell you how I would have done it. I would have sent it to twenty friends. I would have weighed their comments. I would have gone to a writer’s conference. I would have taken workshops there. I would have met with editors. I would have spent WAY too much time fretting over anything, and then maybe (years later) my project would have ended up as a real book. This is how my writing journey went, and I thought it was the norm. Then came my son and blew all my ideas out of the water! I’ve been thinking a lot about this, and it made me realize how much I still worry and fret, trying to get everything perfect before I take the first step. In some ways this has served me well. I have enjoyed working with publishers, and I’m thankful for the community I’ve built. But on the flip side, how much more could I have done if I just DID IT? What could have happened if I just trusted myself and my work more? 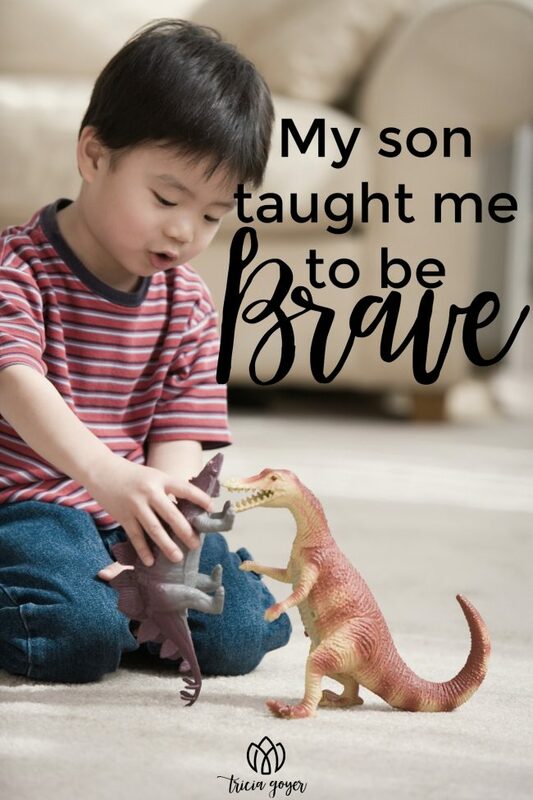 My son is 23-years-old, but watching him I’ve been inspired to be braver. I’m encouraged to not worry if what I do is perfect (it never will be), but just to trust that if God has called me to do something He’ll be in charge of the results. Friend, where do you need a dose of bravery today? Remember that sometimes we just need to roll up our sleeves and do what we’ve been afraid to try. I’m encouraged to do that myself. Want to hear more about Nathan’s novel? I interviewed him for my blog. You can read it HERE (You won’t be disappointed)… and enter to win a copy of Bask HERE—open only to my newsletter subscribers (winner will be contacted next week)! Finally, please consider liking Nathan’s author page here. A very happy kid with his toys!